Our President, Ms. Christine Nkwain on behalf of LESA-USA received an urgent humanitarian appeal (see the appeal below) on Friday, January 18, 2019 from Mr. Agbor Balla, via Ms. Agnes Elangwe – LESA DC member, regarding the organization assisting a three weeks old baby girl born to a young mother, Mrs. Atabong Mahbel. 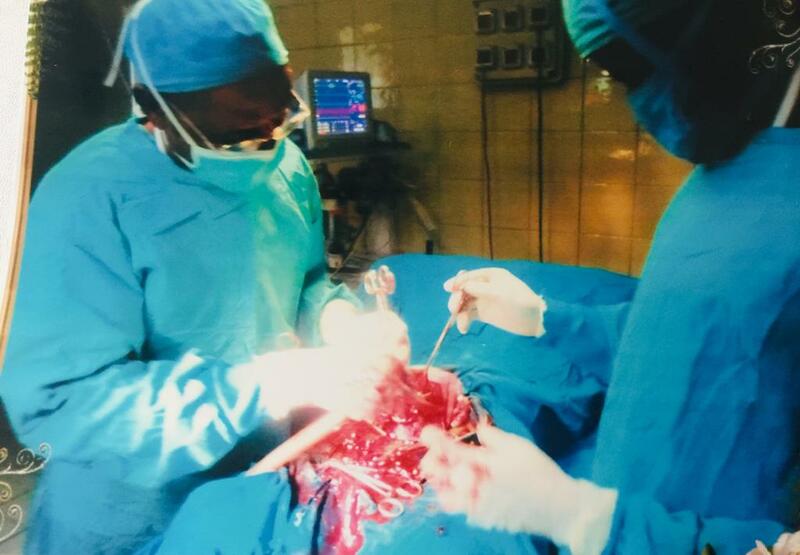 She was born in Buea with diagnoses of Spinal Bifada and Hernia and had already received multiple surgeries, but needed an urgent one to resolve her health. Her bill for the surgery, medication, treatment and hospitalization was estimated at $1500. The $1500 Humanitarian appeal was sent as well to the Sakerettes and Okoyong Ex Students. We heeded the appeal and donated $500 on Wednesday, 23, 2019, as part of our 2019 Philanthropic Effort, to Mahbel for the healthcare of her baby through, the Centre of Human Rights & Democracy in Africa. While we wait for an update regarding the status of this young girl child, one of our members Dr. Enaka Yembe – our former National LESA-USA President, was moved by the story and promised to contact the hospital in Buea, to inquire if she could be of further assistance to the medical team regarding the health of this baby. “Today 18/01/2019, the Centre for Human Rights and Democracy in Africa (CHRDA) visited a health facility in Buea, the Southwest region of Cameroon where they met with Atabong Mahbel and her three-week old baby admit the deteriorating armed conflicts in the said region. It is sadden that the baby was delivered via surgical operation and that the same three-week old baby has gone through many surgical operations. The several surgical operations are because the baby was diagnosed of Spinal Bifida and hernia. It is reported that the outstanding bill for the spinal surgery stands at 750,000 FCFA ($1302) plus an outstanding Pharmacy and bed space bill of 96,900 FCFA ($168).